1. 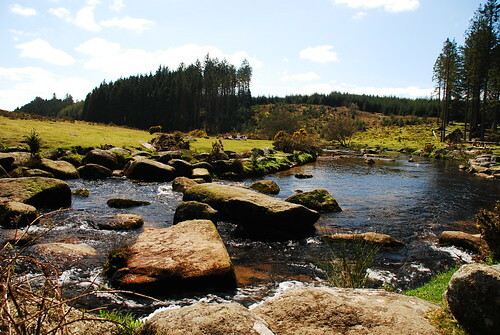 Has to be Dartmoor. I remember it from my school days when at every available opportunity we’d take ourselves up to Bellever YHA Hostel to begin trekking across the great wilderness. In those days the hostel was run by a wonderful man - ex civil servant, lover of the outdoors and classical music. We knew little beyond Marty Wilde and Elvis Presley but up in Bellever we woke to the sound of Strauss and Lehar and went to bed to the music of Tchaikovsky and Brahms. Magic! I think I can tell this story after all these years. There was an attempt to build a line of telegraph poles across the moor but no sooner were the poles erected than they were removed by person or persons unknown. In fact they had been removed and sawn up for winter fuel by our Bellever warden who proudly showed us the results of his endeavours safely housed in the large barn. His ‘crime’ was never discovered. He was never prosecuted. 2. The Northcott Theatre is one of my favourite theatres largely because I started my theatrical life there all those years ago in 1969 and it holds many memories for me - memories of working with Roy Marsden, Robert Lindsey, David Suchet and John Bardon, to name but a few - all of us completely unknown in those days, just starting out on our careers. The campus then was like a little village. Now it is more like a city. But extraordinarily good things still happen up there like, among others the visiting production by the Tobacco Company of Two Gents of Verona. 3. Likewise I am extremely fond of the Theatre Royal in Plymouth where I regularly appeared in the pantomime. On the last occasion I managed to wangle a stay in Number 1 dressing room. It wasn’t such a big deal as I thought it would be - a trifle small, triangular in shape and built of breeze-block scarcely covered with a thin coat of distemper. It would have been too gloomy to contemplate a long sojourn there but for the fact that Rolf Harris, a previous occupant of the room, had painted a huge mural covering the whole wall of the cast of the panto in which he was appearing. Vivacious and talented Bonnie Langford, the late-lamented and lovely gentle- man, Douglas Mounce and of course Rolf Harris himself. His cheery painting on the Number 1 dressing room wall has cheered up many a weary and jaded thesp in a long panto season and I thank him for that. 4. 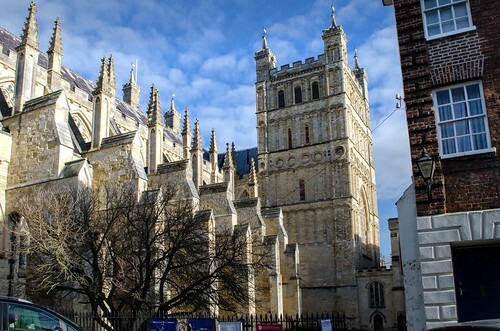 John Betjeman did not think much to Exeter Cathedral. Too small and understated, he thought. Far be it from me to disagree with the great man but I think it is a lovely building - smaller than Rheims it is true but exquisitely proportioned and possessed of a joyful sanctity that you will feel the moment you enter. 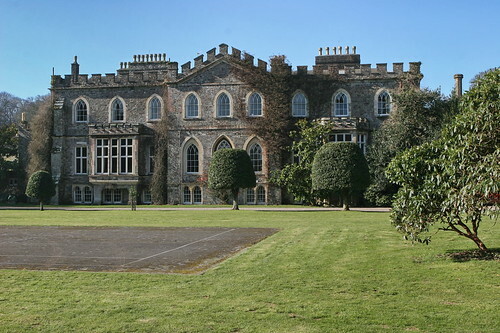 It is a thing of beauty and one-time home, from 1916 to 1936, to the great eccentric Bishop William Cecil (easily the most extraordinary episcopal appointment of the twentieth century!) about whom there are more comic anecdotes than there are books in the bible. Favourite one? The great man finds himself somewhat confused up on the north coast. He rings his wife. ‘I am in Ilfracombe! Why? 5. There are two terrific animal sanctuaries in Devon. The first is the Mare and Foal Sanctuary at Honeysuckle Farm near Newton Abbot in South Devon. It is a place of care, healing and education run by dedicated people it is a privilege to know and a pleasure to visit. Then there is the Donkey Sanctuary at Sidmouth founded by Dr Elisabeth Svendsen MBE. As she said of the donkeys: “To me they are the most beautiful animals in the world, and as long as they need my help they shall have it.” A lovely thought. A lovely lady. I met her once when we were filming a documentary at the sanctuary. She commiserated with me after one of her charges had bitten me and whisked me off to her office for a chat and a ‘little drink’. That was the biggest gin I had seen in a great while. Went down very nicely. Elisabeth explained that her intake of the amiable liquor was severely curtailed because, while she was living abroad, (in Africa I seem to remember her saying) a large part of her gut had been damaged by the invasion of a foot long tape worm. ‘But don’t let that stop you’ says she, refilling my glass. 6. 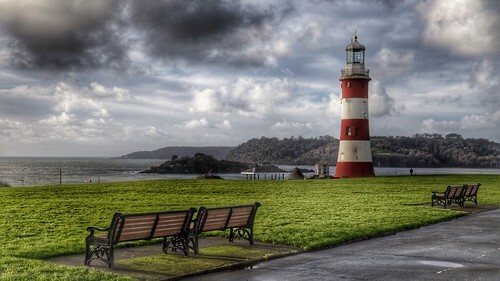 Plymouth Hoe I remember from my earliest childhood. We lived in St Austell just after the war and my dad’s idea of a treat was to take us up on the steam train to Plymouth for a day’s sightseeing in the city. And were there sights to see! Not pretty sights for this was just after the war when Plymouth had been savagely bombed by the German Luftwaffe and not much was left standing. I remember walking up through the ruined streets , piles of rubble everywhere, up and up and finally onto the Hoe. At last, clear air, green grass, blue sea and half the British navy tucked away round the corner. But more than this there was the statue of Sir Francis Drake, proud, defiant, the very model of the buccaneering English sea-dog. Special hero of young boys like me. Circumnavigation, the fearsome Northwest Passage, the Spanish Armada, the insouciant game of bowls, the drum, the Golden Hind.......... the stuff of legend! I’d learnt all about that. And here before me was the man himself, chest puffed out, right hand resting, proprietorial, on the globe, left hand resting high on the hip, left leg thrust forward, gaze fixed unwaveringly on a distant horizon. Beyond doubt a hero! I took to imitating his posture on the plinth, did it on request and very often, not on request. It was my party piece. It was ludicrous, and I have the photographs to prove it, but it was my gift to the nation. And I admit that whenever I am in Plymouth I go and see that the great Elizabethan is still there, stand and look and when I do it feels that my mother and father, my uncle and aunts, my little cousin, the school chums - all those people who had been up on the Hoe all those years ago are there with me again smiling up at Sir Francis. 7. It is said a man needs three things to be happy in life. First is a beautiful wife, second is a good job and third is to occasionally see his neighbour fall off the roof. But there is a fourth, and that is a good Indian restaurant. And I’m lucky because I’ve got one. It’s the Bay of Bengal in Holsworthy, which is run by a lady called Rachel, and she cooks me anything I want. 8. 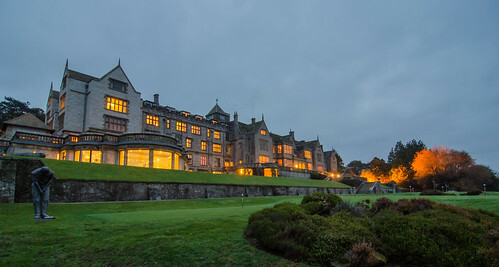 Bovey Castle is a beautiful place, which incidentally was much admired by one of the ‘big 6’ Nazis, Hitler’s foreign minister Joachim von Ribbenthop. He was quite an Anglophile and wanted to buy it. Nowadays there’s these great houses in the grounds and you can go and stay there - it’s an excellent place. 9: One of the best things about living in Devon is my close proximity to Joss Ackland; he’s one of the greatest actors of our lifetime. I appeared with him and Dandy Nichols once in a play in 1972 - it was a dreadful play! But Joss really is the last of the greats. 10: My last choice is Hartland Abbey. It’s hidden away in its own little valley which meanders down to the sea. 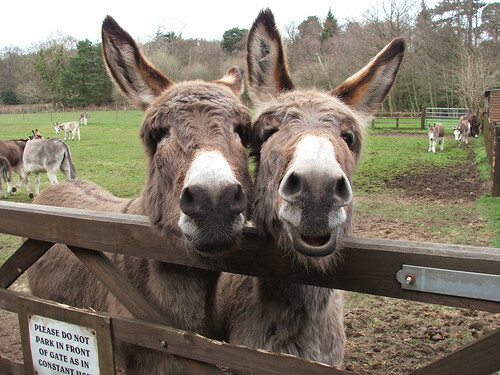 And there are some delightful donkeys there that come at you with all the spiritual entitlement that donkeys seem to have - not like my Hector and Achilles though!